Morocco and Spain are two neighbor countries that share common history, regional and international interests. They built a strategic partnership and are determined to nurture and foster further their special longstanding ties so that they can take up future challenges. 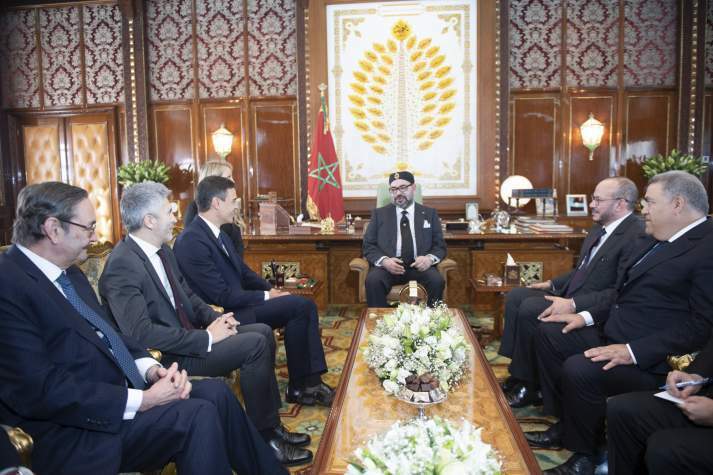 On Monday, King Mohammed VI received in Rabat Spanish Prime minister Pedro Sanchez who was on his first official visit to Morocco since he took office in June. The meeting was “an opportunity to review the various aspects of bilateral relations in their political, economic, security and cultural components”, said a press release issued by the Royal Office. The Moroccan-Spanish talks also covered latest developments on the regional and international scene, added the Royal Office statement, noting that King Mohammed VI and the Spanish PM agreed “on the need to give greater impetus to bilateral relations by consolidating political dialogue and providing more dynamism to the concrete economic partnership, notably through the enhancement of the role of the private sector”. They also hailed the excellent ties binding the two countries and the convergence of views on all the issues tackled, commending on this occasion the Moroccan-Spanish cooperation in matters of development, security & stability in the African continent, the Mediterranean region and the Middle East. During his one-day visit, the socialist Spanish PM also conferred with his Moroccan peer Saad Eddine EL Othmani on issues related to security, migration and economic cooperation as well as on the planned visit of King Felipe VI and Queen Letizia to Morocco in 2019. 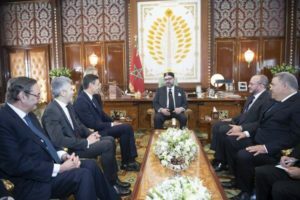 Before leaving Morocco, Mr. Sanchez described the royal audience as “extremely positive”, saying it provided an opportunity to exchange views on topics of mutual interest. He paid tribute to the leadership of the Moroccan Sovereign in Africa, citing in this regard Morocco’s return to the African Union (AU) and the important role played by the country in the fight against illegal migration. According to Mr. Sanchez, the Moroccan-Spanish talks also tackled the high-level meeting scheduled by the two countries governments in 2019 and the planned Moroccan-Spanish business forum to enhance further the economic, political and cultural ties between Rabat and Madrid. The joint organization of the 2030 World Cup by Morocco, Portugal and Spain was also discussed during the Spanish official’s talks in Rabat. Posted by Hafid El Fassy on November 20, 2018. Filed under News, Zoom. You can follow any responses to this entry through the RSS 2.0. Both comments and pings are currently closed.